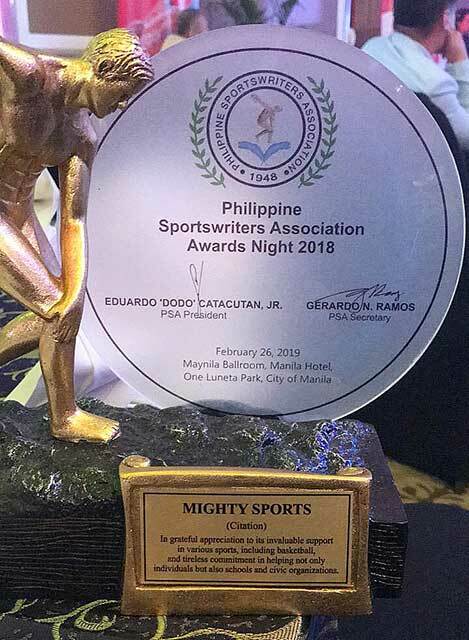 Mighty Sports was honored during the SMC-PSA (Philippine Sportswriters Association) Annual Awards Night along with 26 personalities and other entities yesterday at the Manila Hotel. The company is actively involved in various sports and civic organizations efforts in the country. 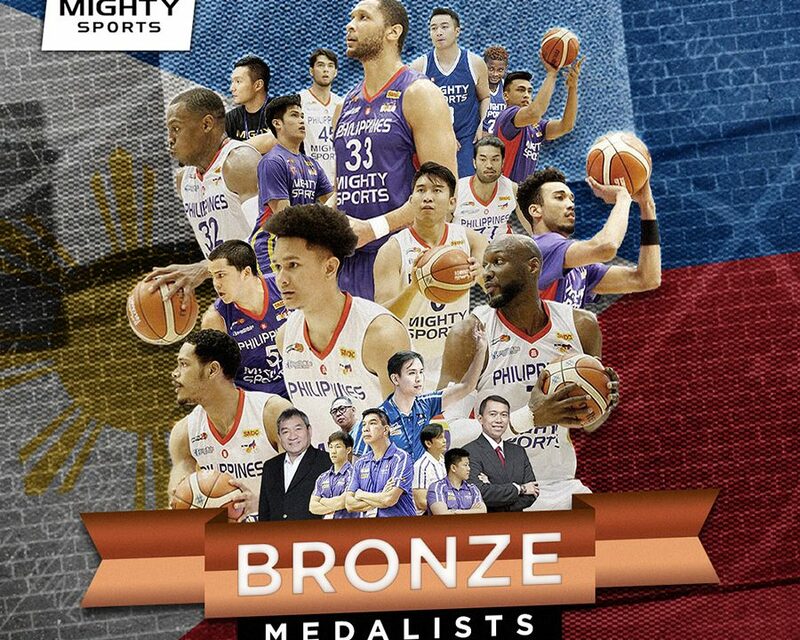 Mighty Sports last year boosted the Philippine Paralympic Committee and re-emerged in the amateur basketball scene as corporate sponsor of the Bulacan Kuyas (MPBL). 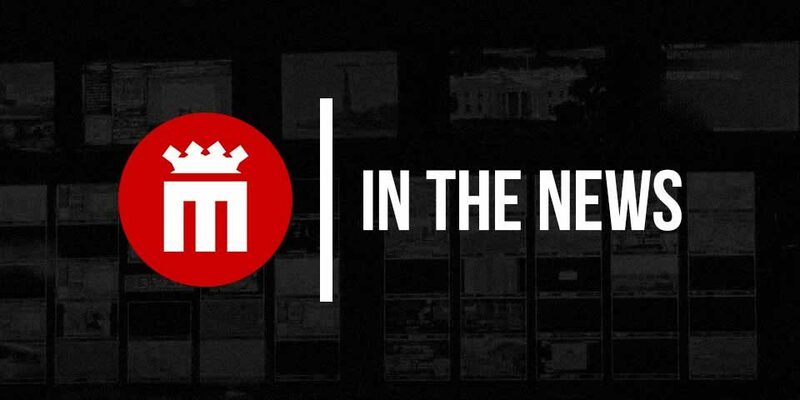 It has also extended its help to schools and organizations such as Xavier School, University of the Philippines in the UAAP, College of St. Benilde in the NCAA and the PBA Press Corps. 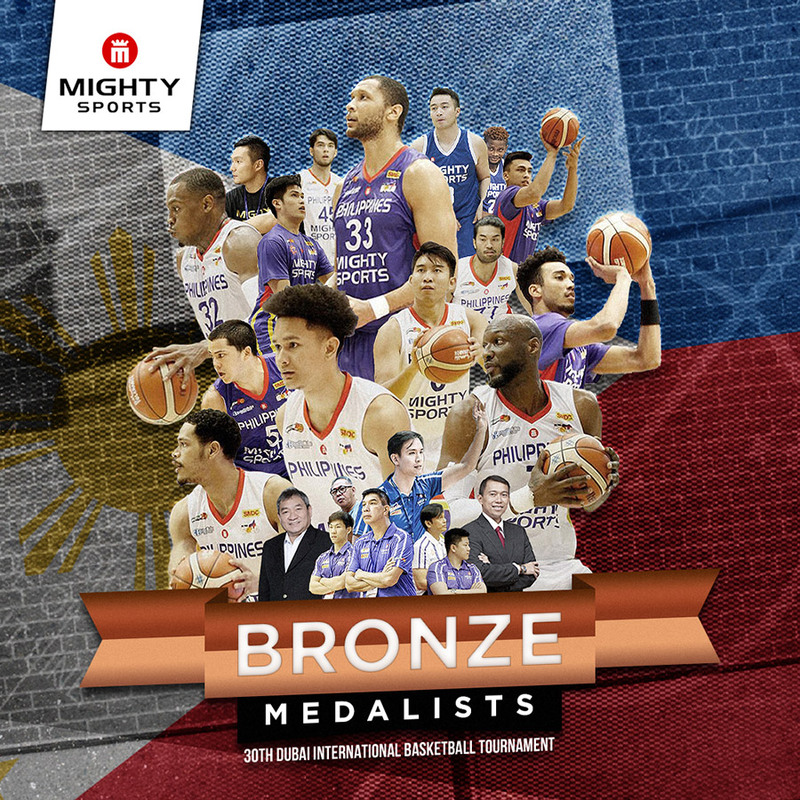 “The Mighty Sports family won’t waver in our support of the country’s grassroots programs, and we are willing to do our own share in helping win the country’s first Olympic gold,” added Wongchuking. 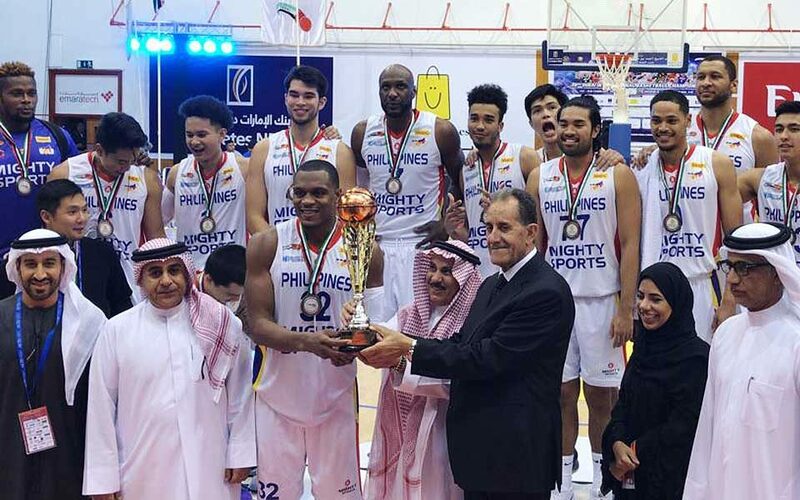 The company through its basketball team, Mighty Sports-Philippines, recently participated in the 30th Dubai International Basketball Tournament that brought home the bronze medal with a 6-1 win-loss record. The awards ceremony was attended by numerous sports personalities from bowling, cycling, basketball, volleyball, golf, roller sports, weightlifting, swimming, tennis, football, boxing, mixed martial arts, fencing, sportswriting, disabled sports, chess, horse racing, among others. One of the event’s highlights was the all-ladies’ athletes of the year featuring Hidilyn Diaz (weightlifting), Yuka Saso (golf), Bianca Panganiban (golf), Lois Kaye Go (golf) and Margielyn Didal (roller sports/skareboarding). The PSA event had a total of 75 awardees, with multi-medal Olympian Bea Lucero-Lhuillier invited as the special guest speaker.